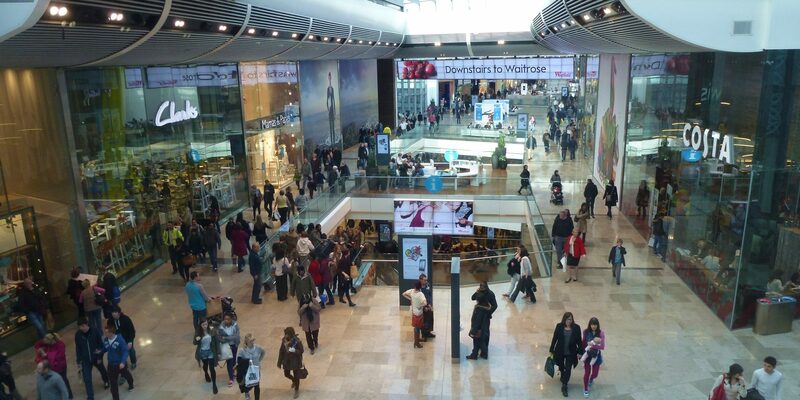 Throughout 2012, Westfield's Stratford City shopping centre used Irisys people counting technology to capture and measure record numbers of visitors: It recorded 5.5 million visitors alone during the Olympics and a record breaking 47 million visitors for the year. The mind-boggling numbers of shoppers equates to 64,700 full London buses visiting the shopping centre during the two weeks of the 2012 Olympics and three-quarters of the UK population for the year. Westfield's Stratford City, which is Europe’s largest urban shopping centre, said footfall had hugely exceeded expectations. Visitor numbers were boosted by the Olympics and Paralympics when Stratford City was the “gateway” to the Games, with 8.5million visitors during the two events. The shopping centre uses Irisys thermal people counting technology to monitor footfall and customer flows. Hundreds of state-of-the-art infrared devices were installed at Westfield Stratford City, a £1.45 billion development comprising 1.9 million sq ft of retail and leisure. It is home to around 300 shops, bars and restaurants, anchored by a John Lewis department store, Marks & Spencer, Waitrose, a 14-screen Vue cinema and a casino. The Irisys detectors form the majority of the counting devices making up the overall solution from PFM - Counting Solutions Ltd, Westfield’s chosen partner for provision of customer flow metrics. Irisys has a worldwide installed base of nearly 250,000 detectors which are used to measure and monitor the flow of people and their behaviour in over 1,000 shopping centres and many thousands of retail stores and supermarkets around the world. This data for example, provides mall operators with the vital information to allow them to maximize the operational efficiency and profitability of their assets. Retailers use this data to identify how many people entering their stores turn into paying customers – a term the retail industry calls ‘conversion’. Stratford City created 10,000 permanent jobs. It has 250 shops, 70 bars and restaurants, a cinema, a bowling alley and a casino and hit £500 million in sales in its first six months.